H1N1 influenza is an infection. It is not the same as seasonal flu (influenza). The first outbreak occurred in 2009 and infected people all over the world. It was called swine flu early on because tests showed that it was like flu viruses that occur in swine (pigs). Call your doctor if your symptoms are not improving. H1N1 is a rare cause of these symptoms. They will tell you if you need to go in for an office visit to see if you have the virus. flu-like symptoms that go away and then return with a fever and cough. A virus causes H1N1. It spreads from person to person. You cannot get it by eating pork or pork products. How is H1N1 influenza diagnosed? Your doctor will do a physical exam and review your symptoms. This alone may alert them that you have H1N1. The doctor may do a rapid flu test, but this checks for several viruses. The test to only check for H1N1 takes a few days to get results. Your doctor may want to start treatment right away and not wait for results. This is common if there is an H1N1 outbreak in your area and lots of people are infected. Can H1N1 influenza be prevented or avoided? The best way to avoid H1N1 is to get the flu vaccine. The Centers for Disease Control and Prevention (CDC) recommends that anyone 6 months of age or older receive the flu vaccine. People who work in health care should get the vaccine. So should anyone who lives with or takes care of children younger than 6 months of age. There are 2 types of the vaccine. The trivalent flu vaccine protects against the 3 most common strains of flu each season. The quadrivalent vaccine protects against 4 strains. The flu vaccine has protected against H1N1 since 2010. In general, it is safe, but there is a chance you can have a reaction. Tell your doctor if you have an allergy to something in the vaccine or if you’ve had a reaction in the past. Sometimes the amount of a certain vaccine cannot keep up with the number of people who need it. This can cause vaccine shortages. You can prevent getting and spreading H1N1 by practicing good care. If you don’t have a tissue, cough or sneeze into your elbow, not your hands. 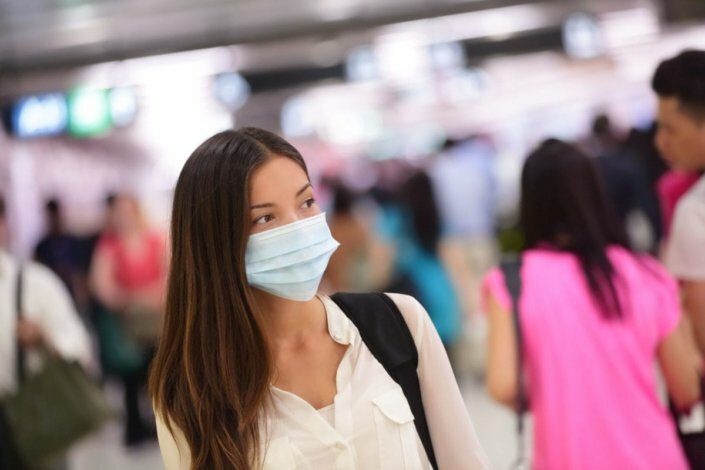 Wear a mask if you are traveling or around large groups of people. Don’t share personal items, such as makeup, utensils, or sports or office equipment. If you get sick, stay home from work or school and avoid being around people. Stay home until at least 24 hours after your fever breaks. Your doctor may prescribe an antiviral medicine to treat H1N1. This helps kill the virus so you can recover and aren’t contagious. If you have a fever, you can take medicine to reduce it. This includes acetaminophen (Tylenol), ibuprofen (Advil or Motrin), or naproxen (Aleve). These drugs also relieve aches and pains. Do not give aspirin to children or teenagers 18 years of age or younger because of the risk of Reye’s syndrome. Reye’s syndrome is a serious illness that can lead to death. You also should drink fluids to stay hydrated and get plenty of rest. Rest helps your body fight infection. people who have weakimmune systems or chronic health problems, such as asthma or heart disease. Most people can fight off and get rid of H1N1 on their own. You may need treatment or close medical care if you are at risk of having complications. When and how often should I get the flu vaccine? How long do I need to take medicine to treat H1N1? Can I get H1N1 more than once? Can I get H1N1 if I work with or raise pigs?